Pies: How cute are these itsy, bitsy, little pies? 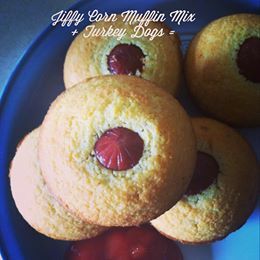 These are easy to make and I love any opportunity to whip out the icing bag. 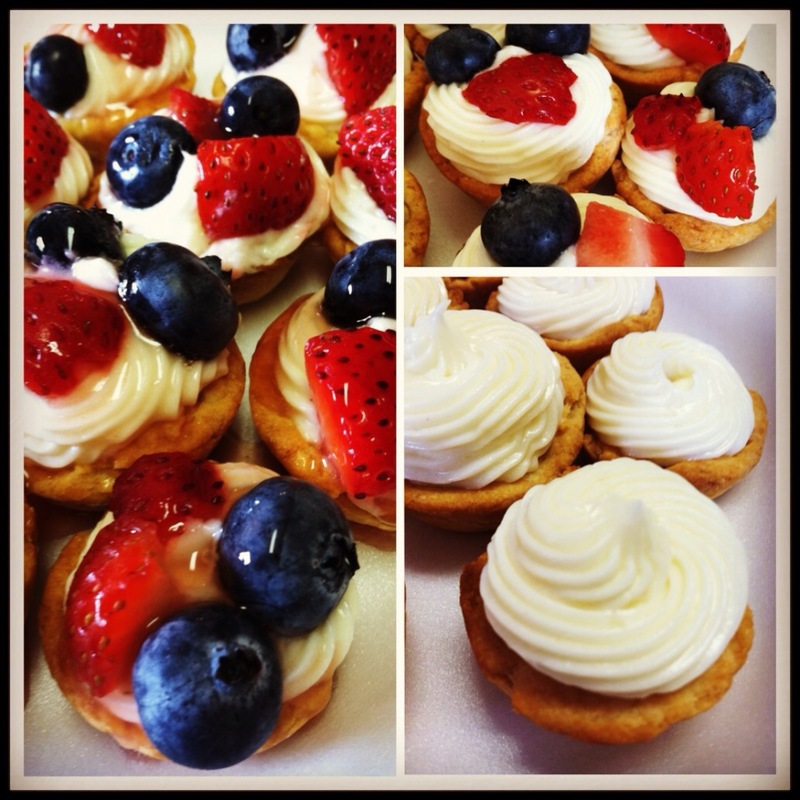 I made these to take to a Memorial Day party and I def didn't have any left overs. Red, white and blue fit the theme perfectly plus you can make these ahead of time and store in the fridge. Find the full recipe here. 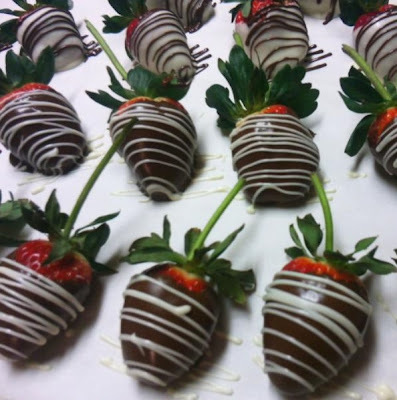 Strawberries: In our house, these strawberries are a Valentines Day tradition. 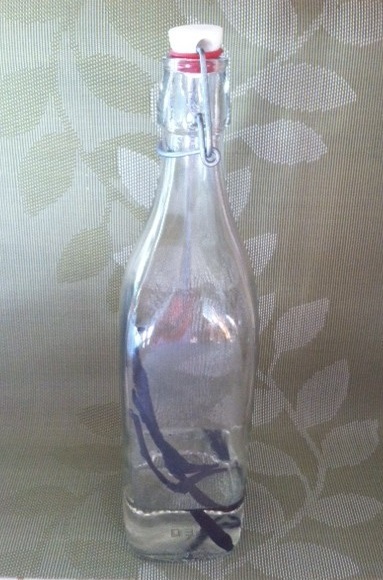 They are much easier to make then they look, i promise! See my a 4th of July edition of chocolate covered strawberries here. Step 5) Stop heating when most, but not all, of the chips are melted. Stir until chocolate is smooth and chips are completely melted. BE CAREFUL not to overcook. Step 9) Once the strawberries have dried I melt white chocolate chips using the same technique and pour into a bottle. Squeeze the chocolate over the strawberries. This is optional but I think it makes the strawberries taste and look even more delicious. Step 10) Cool in the fridge then enjoy! 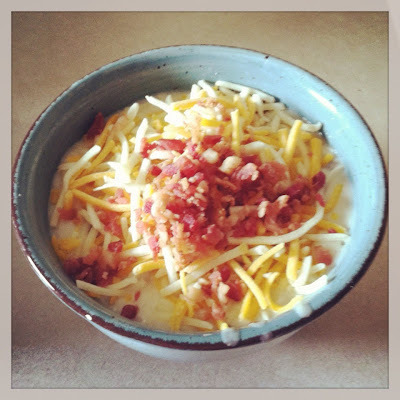 Baked Potato Soup: I am a big fan of crock pot recipes. Mix a bunch of stuff in a bowl and leave it until its done? I'm sold. I couldn't wait until fall to try this out but now I cant wait until it cools down outside and we can enjoy a bowl by our fire pit. Find the full recipe here. Vanilla Ice: I have mentioned before that I love iced coffee in the morning. I tried using coffee iced cubes so my coffee wouldn't get all watered down. I decided I wanted to step it up a bit and make vanilla ice. 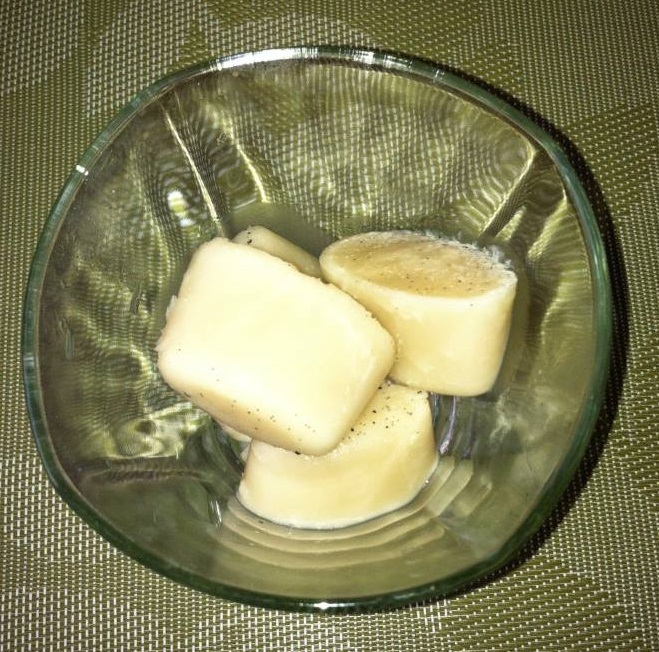 These cubes are only 3 ingredients and I was able to use left over beans from making homemade vanilla extract. See the full recipe here. 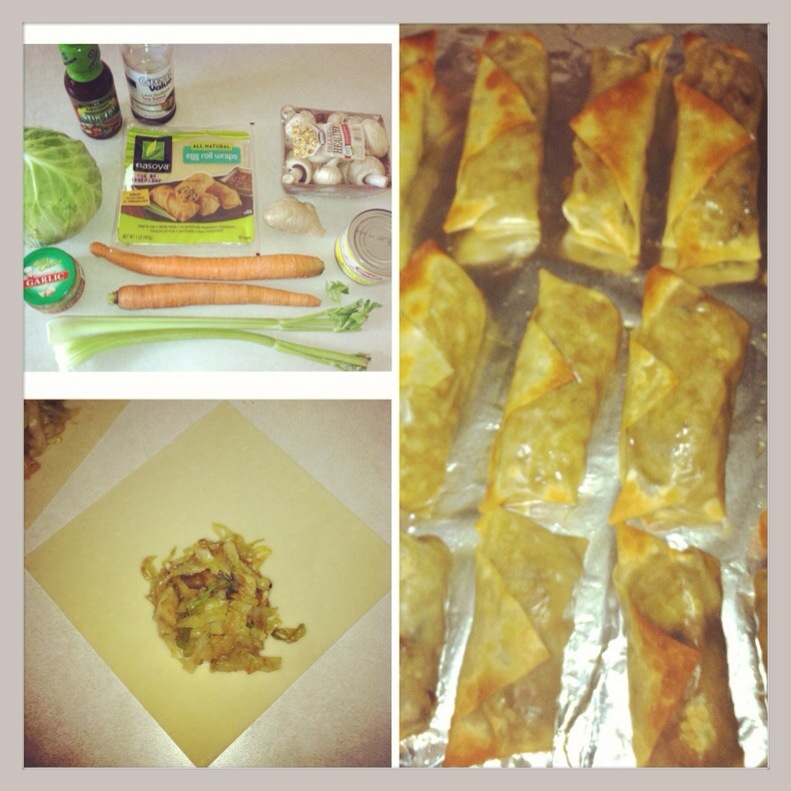 Meatless Egg rolls: Talk about a cheap dinner! In our last Bountiful Basket we got cabbage, carrots, celery and mushrooms. I don't cook with cabbage or mushrooms often so I didn't really know what to do with them until I came across a pin for meatless egg rolls! This recipe made a pan and a half of egg rolls that I ate on for days! The best part was I already had the produce, soy sauce and garlic so all I needed to buy was egg roll wrappers, ginger and water chestnuts. The recipe did not call for celery or water chestnuts but I like them so I tossed them in. Find out how to make them here. Grandmothers Pin: When my grandmother passed away my mom gave me one of her pins. I don't wear pins but I thought this one was beautiful. 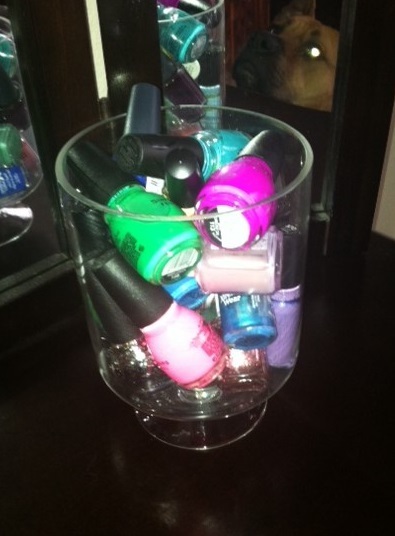 I have kept it safe in my jewelry box until I found a way to display it. I bought a cheap frame from Target, cut up and old T-shirt, wrapped the fabric around the glass and stuck the pin to the fabric. 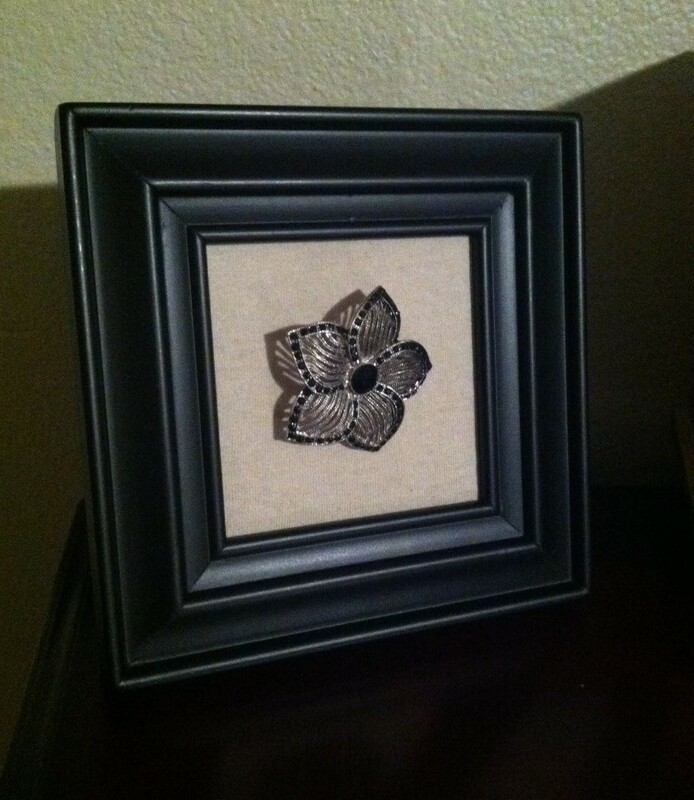 The frame now sits on top of my jewelry box in our bedroom. Cake Batter Cookies: Looking for quick, moist cookies? Look no further! Cake batter cookies were a big hit in my house last night. 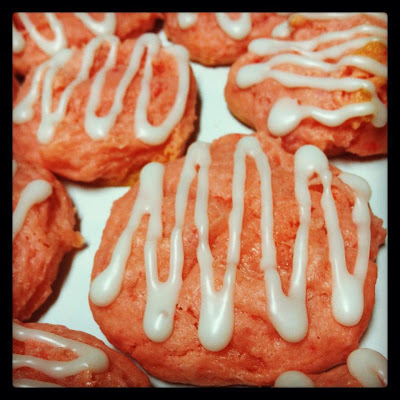 I whipped up these strawberry cookies combining the best of two different recipes I found. I plan on making chocolate cake batter cookies next. Mix all in a large bowl. Spoon out one tablespoon for each cookie on a greased cookie sheet. Cook for 9 minutes at 350. Mix milk and sugar together in a small bowl. I used a squeeze bottle to apply to cookies. 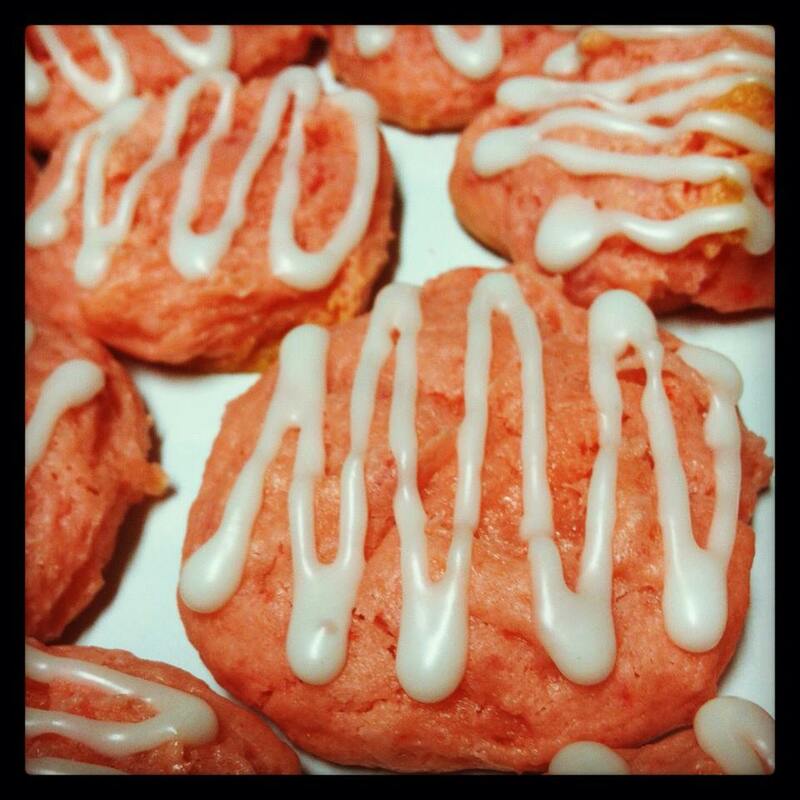 Can spoon icing into cookies instead. My last post was about pins I tried in the past. This post is about pins I did yesterday. Yes, all of these in one day. Call me a pin-a-oholic. Dinner: I went shopping on my lunch break so I had limited time and storage space at the office. Quickly searching Pinterest in the grocery store parking lot, I found mini tacos! 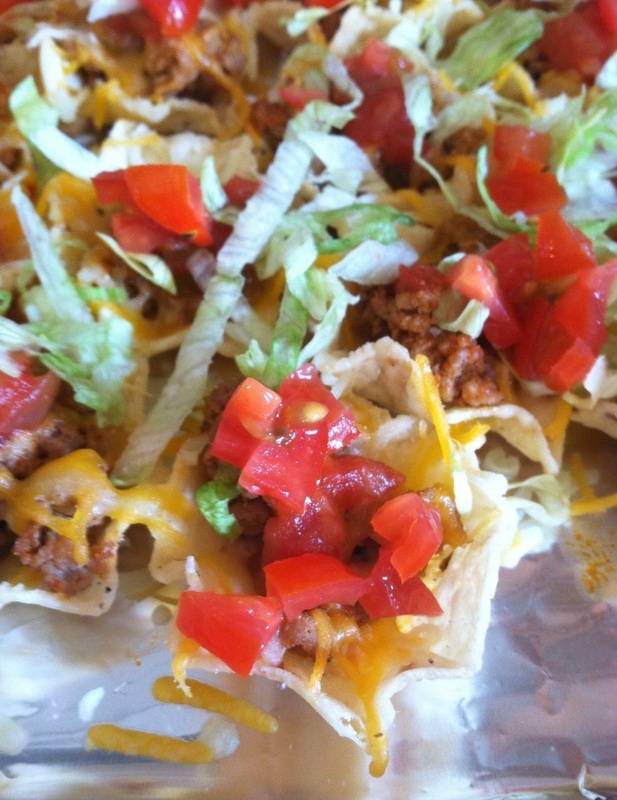 To me they are more like loaded nachos but whatever. Use scooped chips and fill with browned meat (I used turkey mixed with taco seasoning) and cheese. Bake at 325 until cheese is melted. Top with salsa or sour cream, lettuce and tomatoes. So good! Dessert: D and I both LOVE strawberries! You can make these treats the hard way or the easy way. I picked the easy way because who am I, Betty Crocker?? 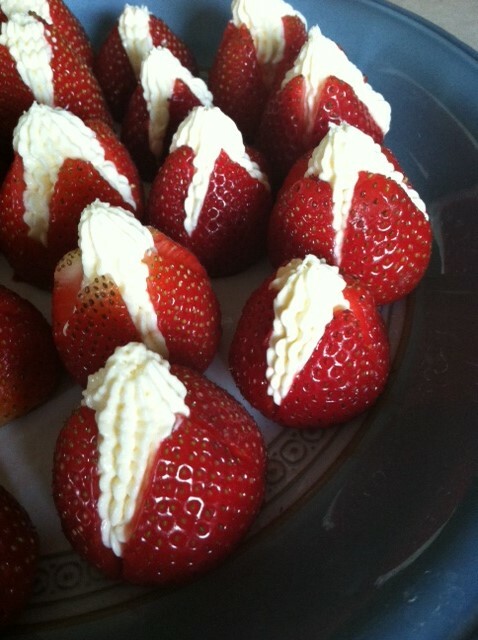 I took ready made cheese cake filling and piped it into strawberries with an X cut into them. I also, cut the tops off so they would stand up on the plate. If your feeling like Martha Stewart you can make the filling from scratch. Derek bought me a dark brown vanity for Christmas and I love it. I bought a jar for under $5 at Walmart and put all of my pretty nail polishes in it for the top of my vanity. Guest appearance by my dog Princess.